Maurice Harkless has failed to meet expectations in the association. The 6-foot-9, 220-pound Harkless excelled at St. John’s and clinched Big East Rookie of the Year honors in 2012. Shortly thereafter, “Moe” departed Queens and was acquired by the Philadelphia 76ers with the 15th pick in 2012. However, roughly six weeks later on August 10, the 76ers traded Harkless to the Orlando Magic as part of the Dwight Howard deal. 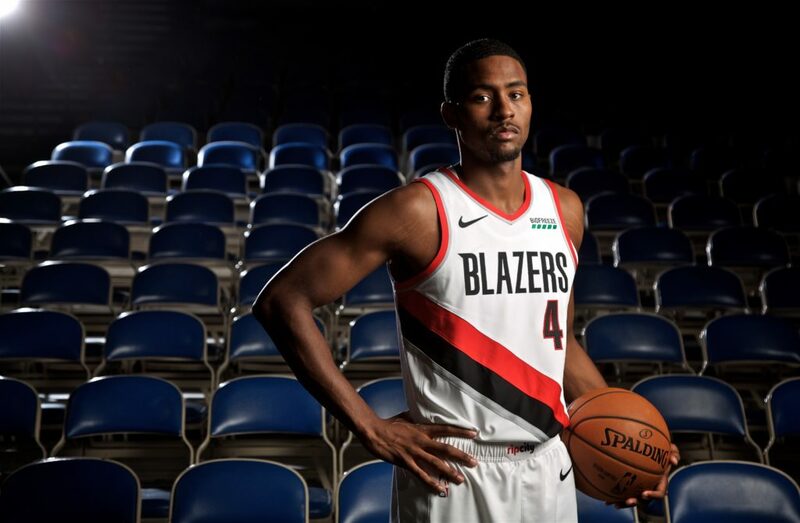 Harkless disappeared in Orlando and was sent to the Portland Trail Blazers on July 14, 2015. The 25-year-old Harkless hasn’t bloomed in the Rose City and he’s on the brink of being labeled a bust. 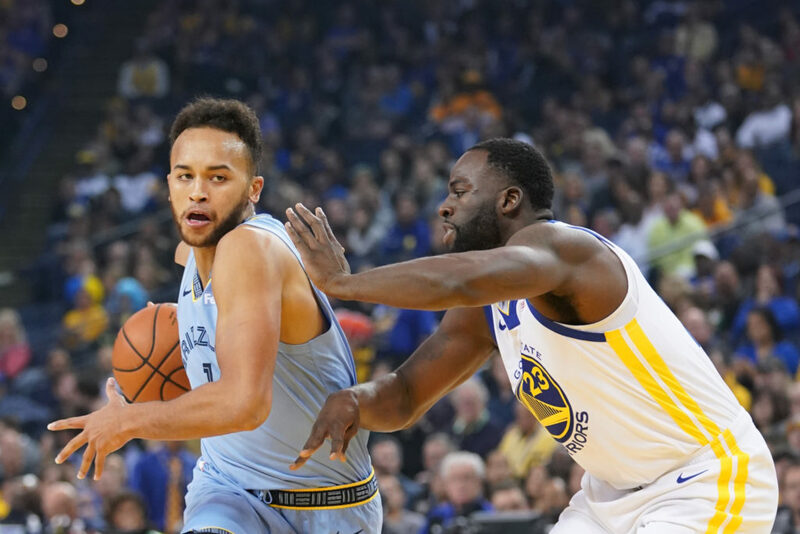 Hopefully for Grizzlies fans, Kyle Anderson won’t hibernate in Memphis like he did as a San Antonio Spur. The Spurs obtained the 6-foot-9, 230-pound Anderson out of UCLA with the 30th choice in 2014. “Slo Mo,” a third-team All-American as a Bruin in 2014, underachieved in San Antonio and rarely saw the court. Anderson, who inked a four-year deal worth $37.2 million on July 9 to join the Grizzlies, needs to realize his potential in Memphis. If he fails to roar with the Grizzlies, the 25-year-old Anderson could land in the unemployment line. 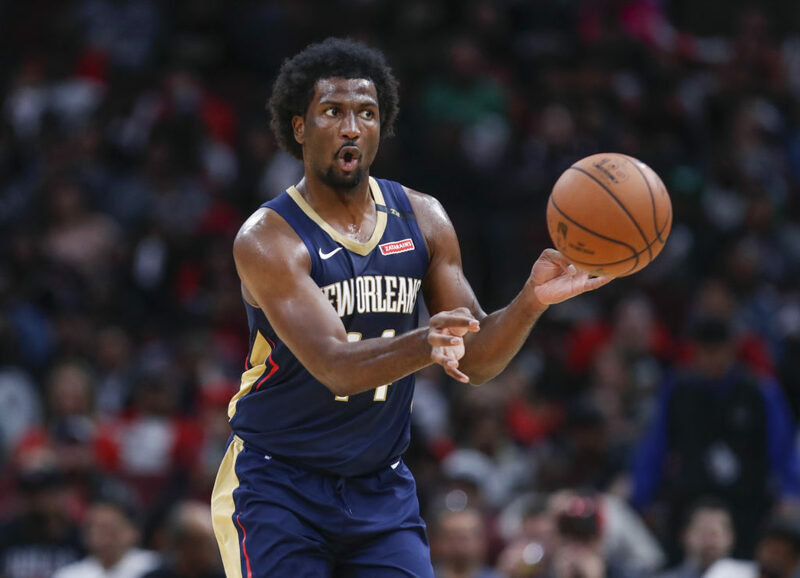 Solomon Hill has learned that it is as hard to play in the Big Easy as it was in the Hoosier State. The Indiana Pacers drafted the 6-foot-7, 225-pound Hill out of Arizona with the 23rd choice in 2013. “Solo” struggled for three campaigns as a Pacer before agreeing to become a Pelican on July 21, 2016. Alas, after suffering a torn hamstring in the summer of 2017, Hill was held to playing a measly 12 games last season. Now healthy, it’s time for the 27-year-old Hill to produce on the hardwood. 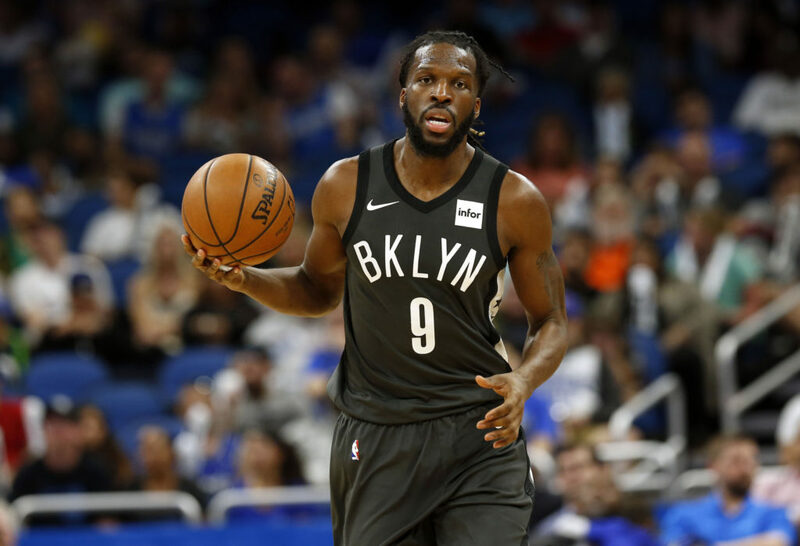 DeMarre Carroll is a career journeyman who may have found a home in Brooklyn. The 6-foot-8, 215-pound Carroll, who the Nets acquired from the Toronto Raptors on July 13, 2017, averaged 13.5 points, 6.6 rebounds and 2.0 assists over 73 games last season. The “Junkyard Dog” underwent arthroscopic surgery on his right ankle on October 16. However, the 32-year-old Carroll will soon return and regain his spot as a reliable option for the Nets. 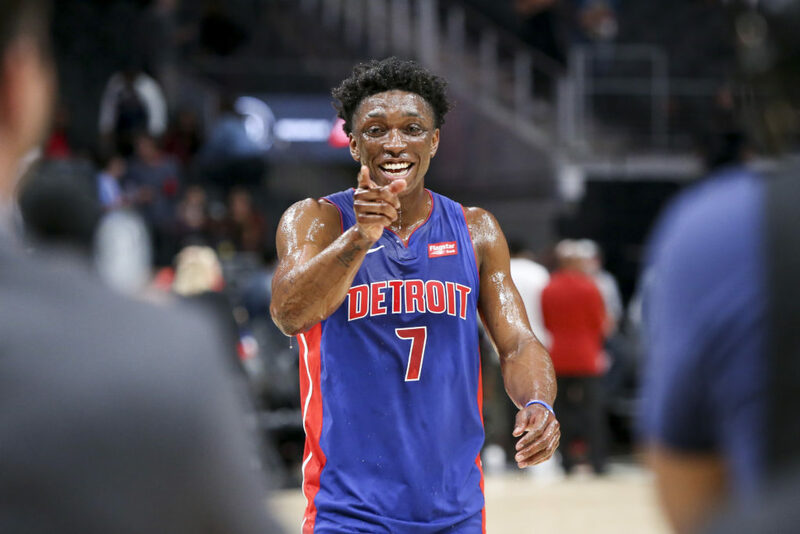 Stanley Johnson is ready to find his groove as a Piston in Motown. The Pistons selected the 6-foot-7, 245-pound Johnson out of Arizona with the eighth pick in 2015. However, following a solid rookie campaign, the “Stanimal” struggled and was demoted to compete for the Grand Rapids Drive in December 2016. Johnson, a versatile, athletic and strong ballplayer, quickly regained his spot with the Pistons and has since shown glimmers of brilliance. The 22-year-old Johnson seems poised for a breakout season in Detroit. 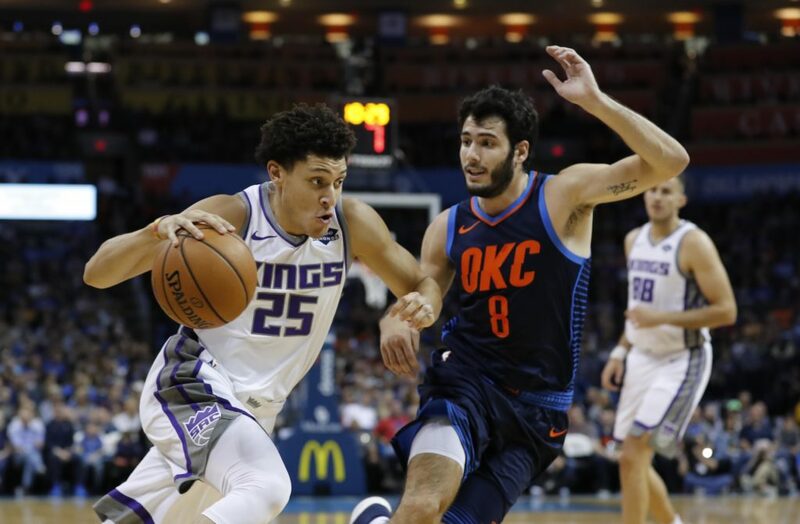 Following a draft-day trade with the Portland Trail Blazers, the Sacramento Kings acquired Justin Jackson out of North Carolina with the 15th pick in 2017. The 6-foot-8, 210-pound Jackson, who led the Tar Heels to the 2017 NCAA men’s basketball championship, only played 22.1 minutes per game as a rookie. Consequently, it’s somewhat difficult to accurately evaluate the 23-year-old Jackson at this juncture. Still, with a high basketball IQ and plenty of intangibles, it’s evident that the 2017 ACC Player of the Year possesses all the necessary tools to mature into royalty in Sacramento. 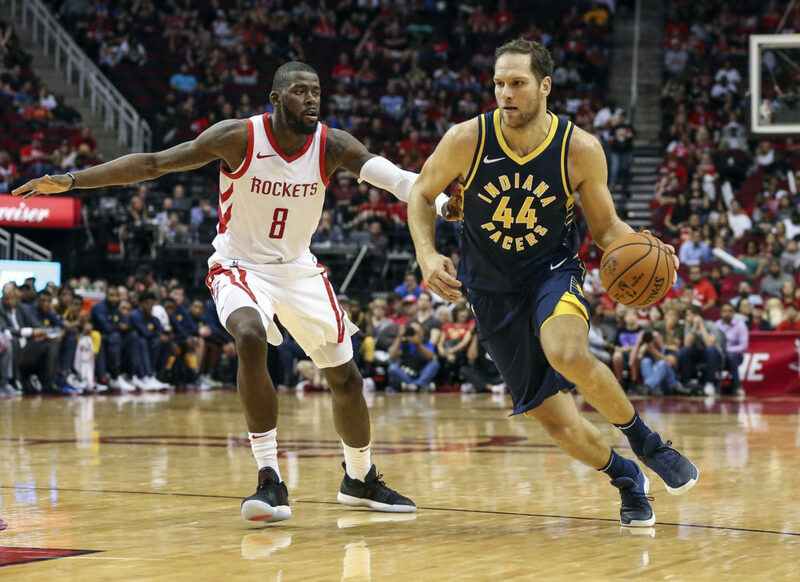 Bojan Bogdanović is a longstanding journeyman who may have found a home as a Pacer in Indianapolis. The 6-foot-8, 215-pound Bogdanović, a Croatian who has played for nine professional franchises, signed with the Pacers on July 10, 2017. Over 80 games with the Pacers, “Bogey” averaged 14.3 points, 3.4 rebounds and 1.5 assists. The 29-year-old Bogdanović is a valuable Pacer who can help the organization exceed expectations this winter. Michael Kidd-Gilchrist was a ferocious Wildcat who hasn’t fully stung opponents as a Hornet. The Hornets obtained the 6-foot-7, 230-pound Kidd-Gilchrist out of Kentucky with the second overall pick in 2012. The muscled New Jerseyan attacks the basket and is an elite defender. 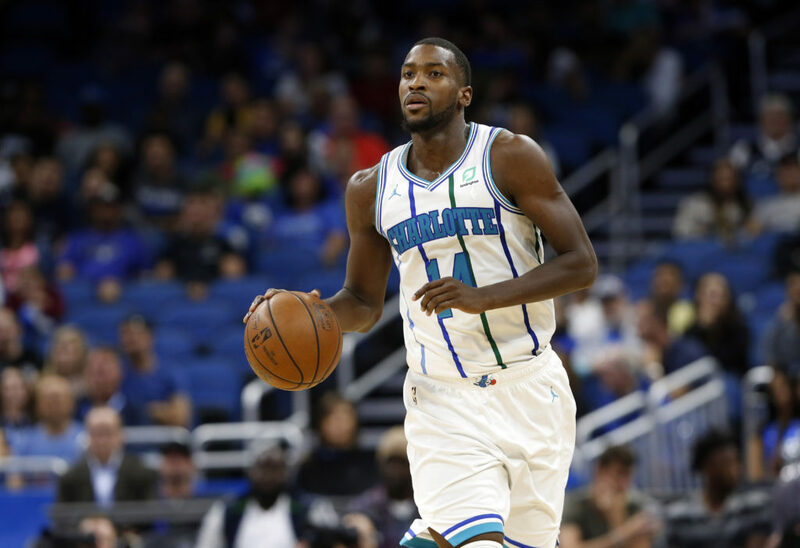 Although far from a bust, the 25-year-old Kidd-Gilchrist needs to elevate his game and make his first All-Star appearance this February. 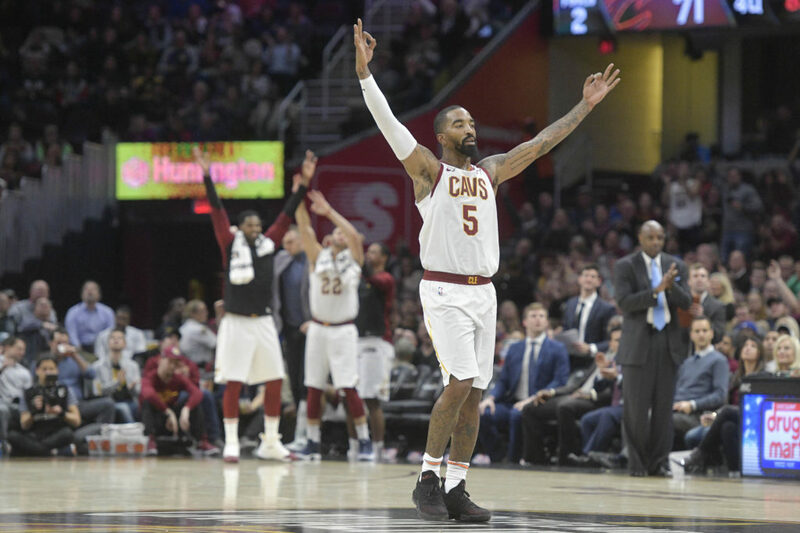 J.R. Smith is an erratic shooter on the hardwood and a loose cannon off of it. However, despite his putrid field goal percentage, “J.R. Swish” is capable of scoring in bunches. 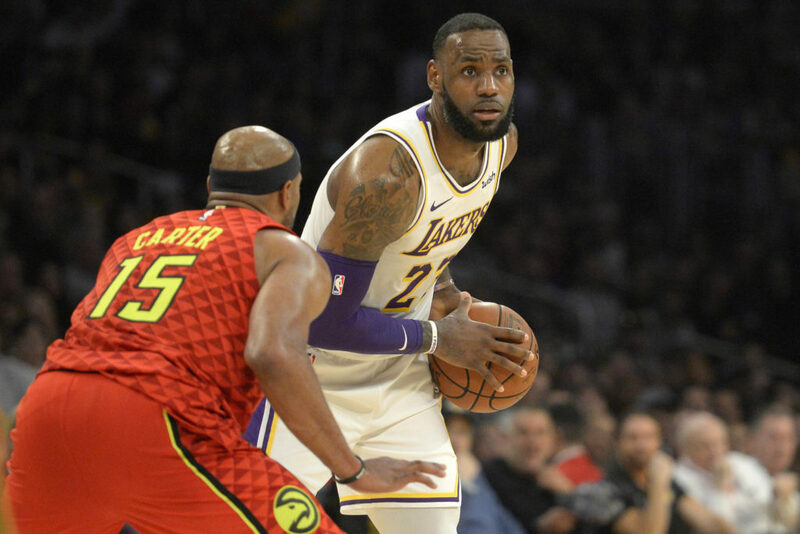 With LeBron James in La La Land, the Cleveland Cavaliers have a dearth of talent and are destined to finish in the basement of the Eastern Conference. Provided he’s not traded, expect the 33-year-old Smith to post relatively solid numbers this season. 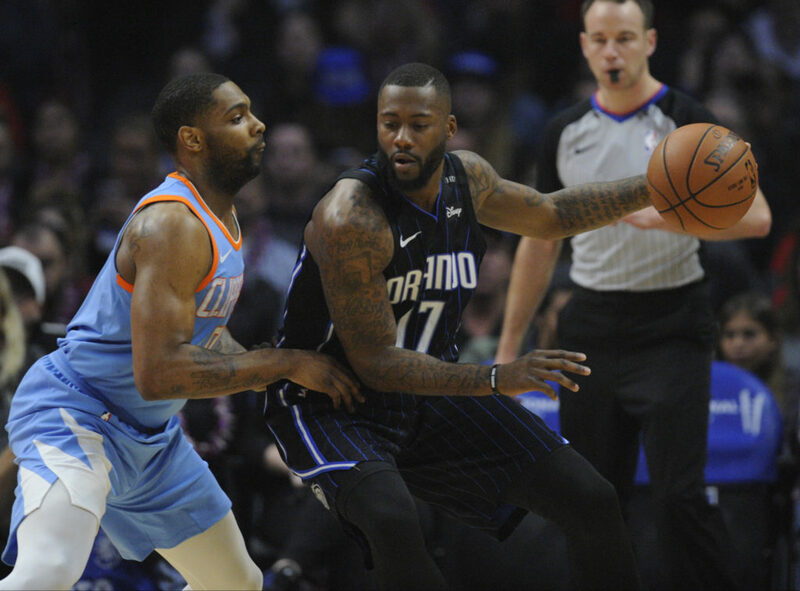 Jonathon Simmons is an underdog who has shown flashes of wizardry as a member of the Orlando Magic. The 6-foot-6, 195-pound Simmons, an undrafted prospect out of Houston, initially gained experience as a San Antonio Spur. 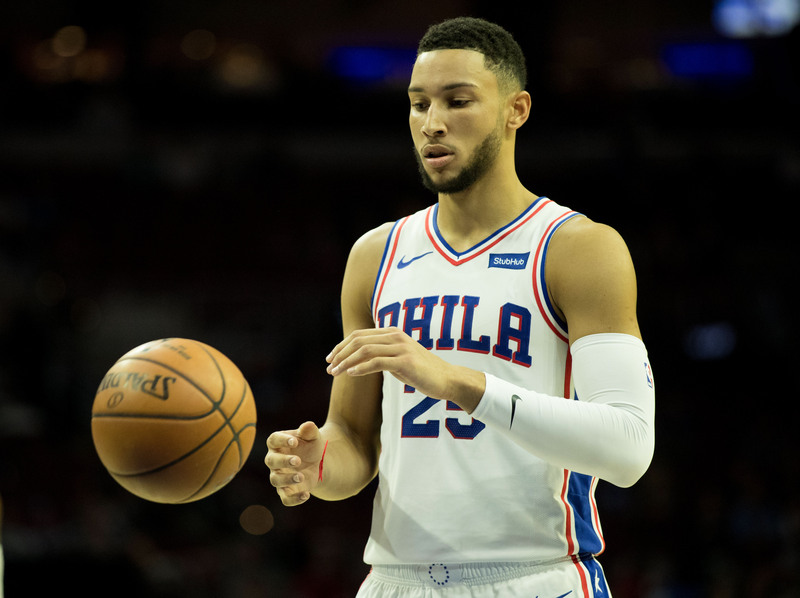 However, Orlando’s decision makers appreciated Simmons’ grittiness and versatility and they signed him to a three-year contract worth $20 million on July 15, 2017. In his debut season with the Magic, Simmons averaged 13.9 points, 3.5 rebounds and 2.5 assists over 69 games. The 29-year-old Simmons seems to have found his niche in Orlando and he’ll be a dependable ballplayer for the foreseeable future. Wesley Matthews is a gritty ballplayer who’s in his 10th NBA season after going undrafted in 2009 out of Marquette. The 6-foot-5, 220-pound Matthews, an All-Big East second team selection in 2009, has earned paychecks playing for the Utah Jazz, Portland Trail Blazers and Dallas Mavericks. “Iron Man,” a tenacious defender and decent rebounder, is in his fourth-year as a Maverick. 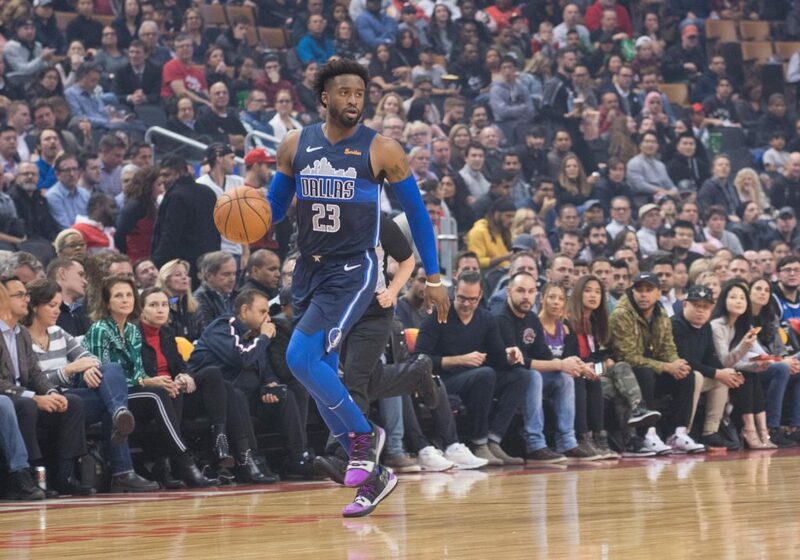 The 32-year-old Matthews is a reliable player who coach Rick Carlisle knows will hustle and arrive to compete on a regular basis. 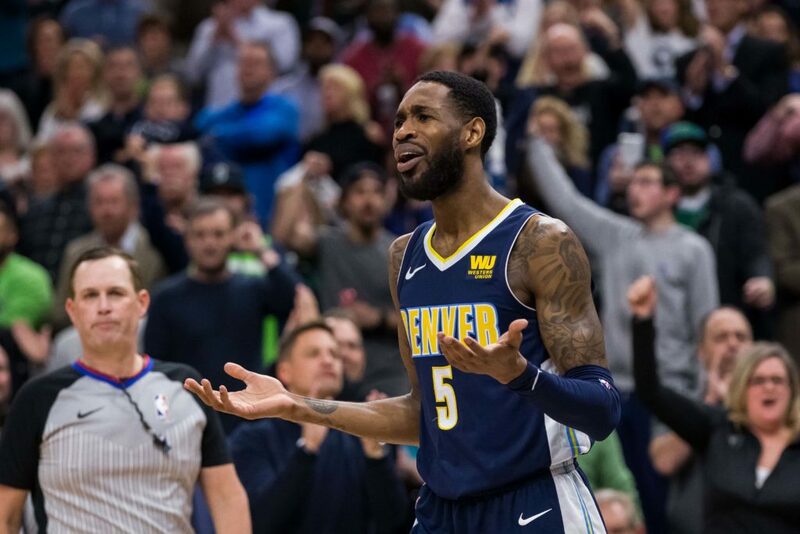 Will Barton continues to ascend as a Nugget in the Mile High City. The Portland Trail Blazers chose the 6-foot-6, 190-pound Barton out of Memphis with the 40th pick in 2012. Barton, the Conference USA Player of the Year in 2012, wilted in the Rose City and was traded to the Nuggets on February 19, 2015. “The People’s Champ” is a solid all-around player who at age 27 is among the best small forwards in the association. 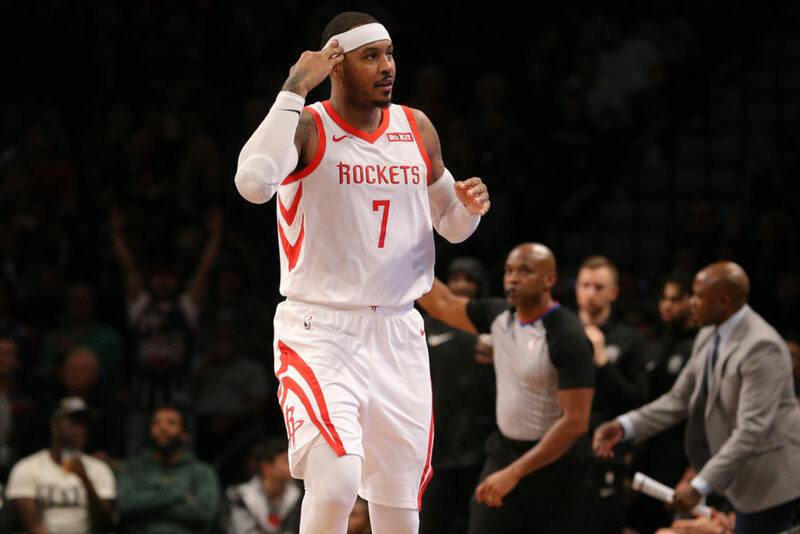 Carmelo Anthony has been a scoring machine since he premiered with the Denver Nuggets in October 2003. The 6-foot-8, 240-pound Anthony, who the Nuggets drafted out of Syracuse with the third pick, is a 10-time All-Star and two-time All-NBA Second Team selection. In spite of his individual accomplishments, “Melo” is often chided for failing to seize a Larry O’Brien Championship trophy. Furthermore, Anthony hasn’t adapted with age, and he’s become a liability on both ends of the court. Nonetheless, the 34-year-old Anthony is still one of the association’s better small forwards. 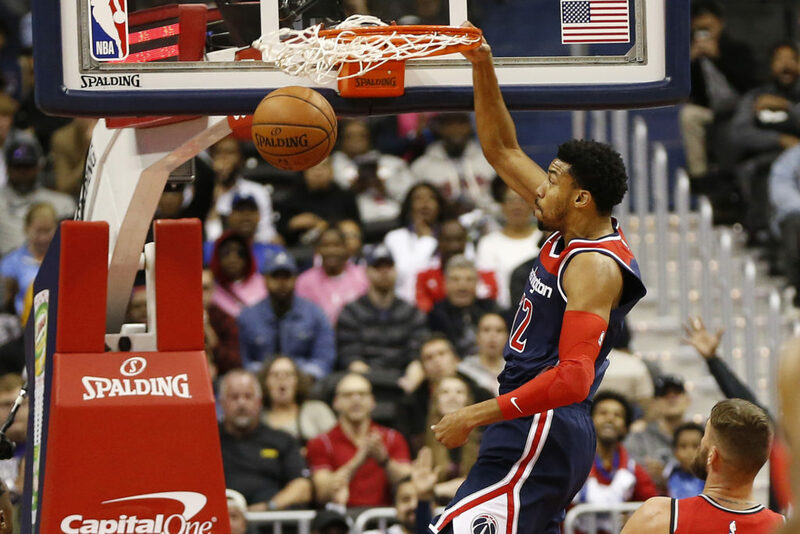 The Washington Wizards selected Otto Porter Jr. out of Georgetown with the third pick in 2013. Although he hasn’t been magical for the Wizards, the 6-foot-8, 200-pound Porter Jr. is a stable presence on the hardwood in our nation’s capital. “Bubba” averaged 14.7 points, 6.4 rebounds and 2.0 assists over 77 games last season as a Wizard. If the 25-year-old Porter Jr. improves, the Wizards may be able to compete with the Toronto Raptors, Philadelphia 76ers and Boston Celtics in the Eastern Conference. 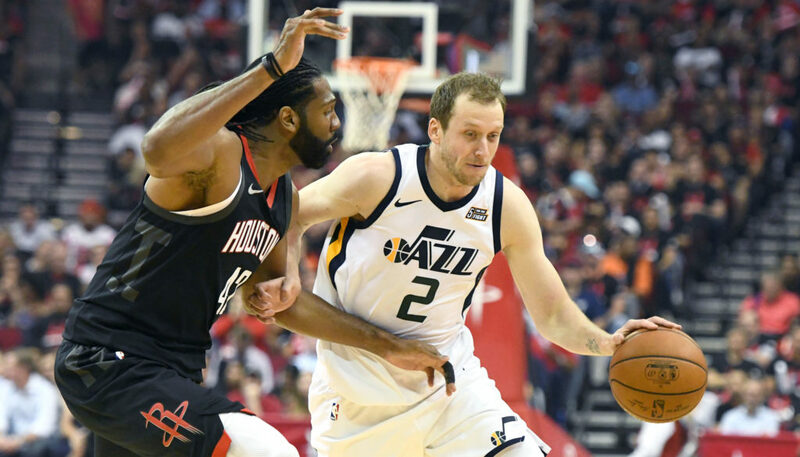 Joe Ingles is a workmanlike figure who helps the Jazz sing on the hardwood. Utah acquired the 6-foot-8, 225-pound Ingles as an undrafted free agent on October 27, 2014. “Jinglin’ Joe,” who was born and raised in Australia, is a multifaceted talent who handles the ball well enough that he can play the point. The 31-year-old Ingles is a dependable player who exerts maximum effort on a nightly basis. When healthy, Rudy Gay has proven that he can prosper on the hardwood. Regrettably, the 6-foot-8, 230-pound Gay has battled an array of injuries throughout this decade. “The Great Rudini,” taken by the Houston Rockets out of Connecticut with the eighth selection in 2006, is a prolific scorer who dominates in transition. Conversely, Gay is a middling defender who oftentimes appears disinterested on the court. The 32-year-old Gay must produce this season as a San Antonio Spur to remain among the association’s better small forwards. 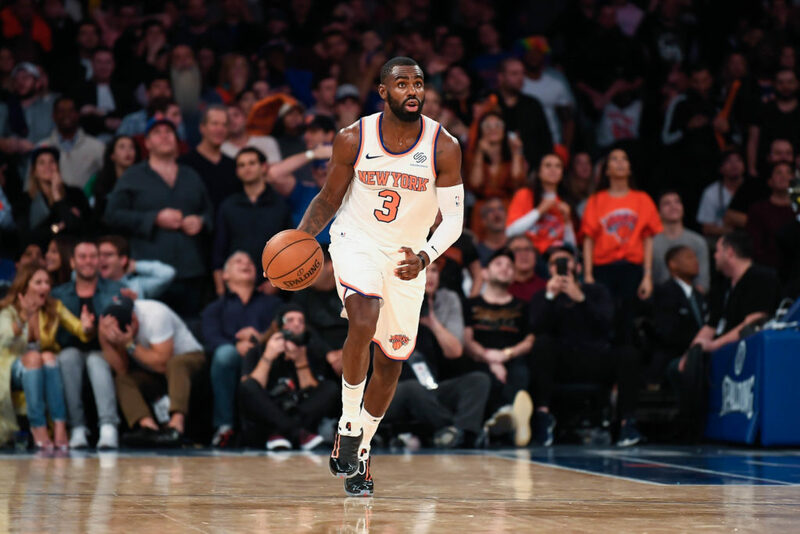 Tim Hardaway Jr. has been effective in his sequel as a New York Knick. The Knicks took the 6-foot-6, 205-pound Hardaway Jr. out of Michigan with the 24th pick in 2013. “Grover” shined from the get-go and earned a place in the 2014 All-Rookie First Team. Despite his accomplishments, Hardaway Jr. was sent to the Atlanta Hawks in exchange for Jerian Grant on June 25, 2015. Now back in Gotham, Hardaway Jr. has impressed coaches, fans and analysts alike with his explosive playmaking and scoring abilities. The 26-year-old Hardaway Jr. is on the brink of maturing into a star. 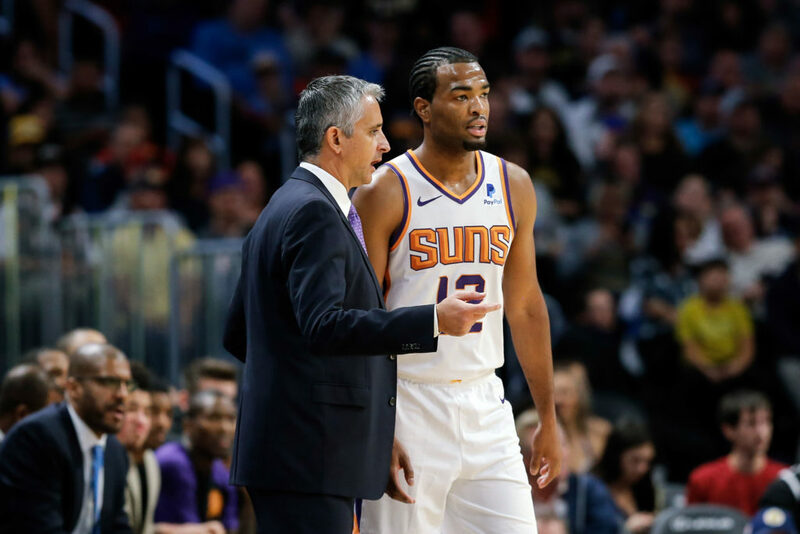 TJ Warren has become a brilliant member of the Phoenix Suns. The Suns drafted the 6-foot-8, 215-pound Warren out of North Carolina State with the 14th pick in 2014. Following two ho-hum seasons in the Valley of the Sun, Warren shined throughout the 2017-2018 campaign and averaged 19.6 points, 5.1 rebounds and 1.3 assists over 65 games. The 25-year-old Warren is on the brink of becoming a dominant player in the association. The New York Knicks drafted Danilo Gallinari with the sixth overall selection in 2008. The 6-foot-10, 225-pound Gallinari, who procured the Italian League’s MVP in 2008, displayed promise as a Knick before getting traded to the Denver Nuggets for Carmelo Anthony on February 22, 2011. “The Rooster” enjoyed six gratifying seasons in Denver before getting sent to the Los Angeles Clippers on July 6, 2017. 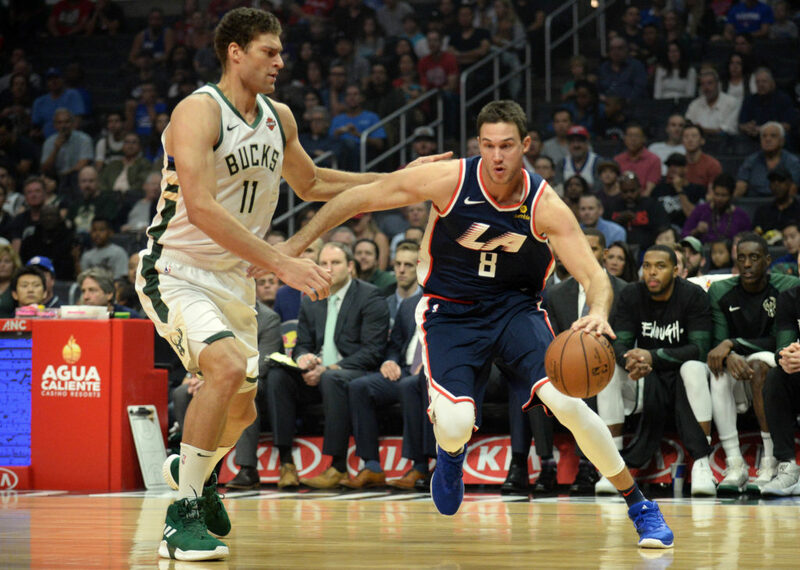 The 30-year-old Gallinari has primarily shined in Tinseltown and he remains a solid scorer and passer for the Clippers. 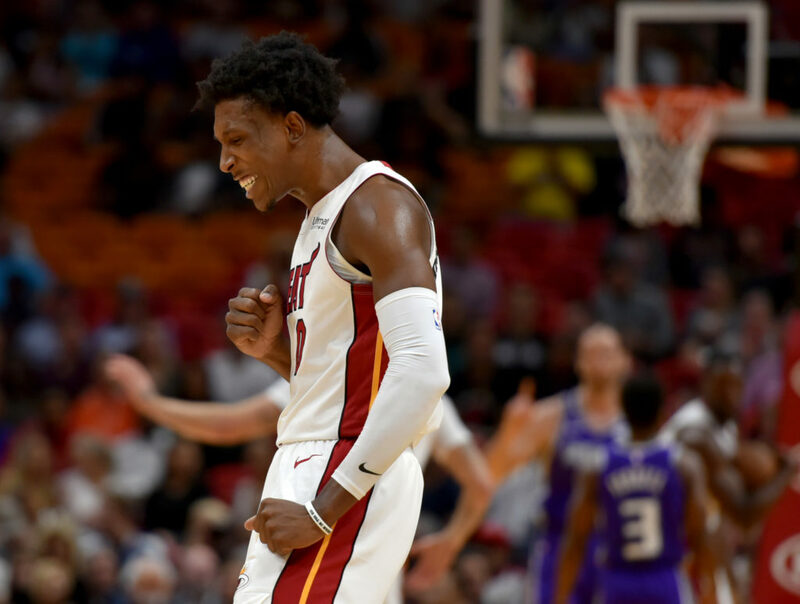 Miami Heat small forward Josh Richardson has the abilities to consistently burn opponents. The Heat grabbed the 6-foot-6, 200-pound Richardson out of Tennessee with the 40th choice in 2015. “Slim” is a speedy, athletic and energetic player who may develop into the Heat’s primary option on offense. Moreover, the 25-year-old Richardson could secure a spot as an All-Star this winter. Jabari Parker was oftentimes immature, and he constantly fought injuries as a Milwaukee Buck. Hence, on July 14, the Bucks’ C-level executives grew tired of the 6-foot-8, 245-pound Parker and allowed him to sign a two-year deal valued at $40 million with the Chicago Bulls. The former Duke Blue Devils’ star has the ability to be a dynamic scorer and spectacular playmaker. 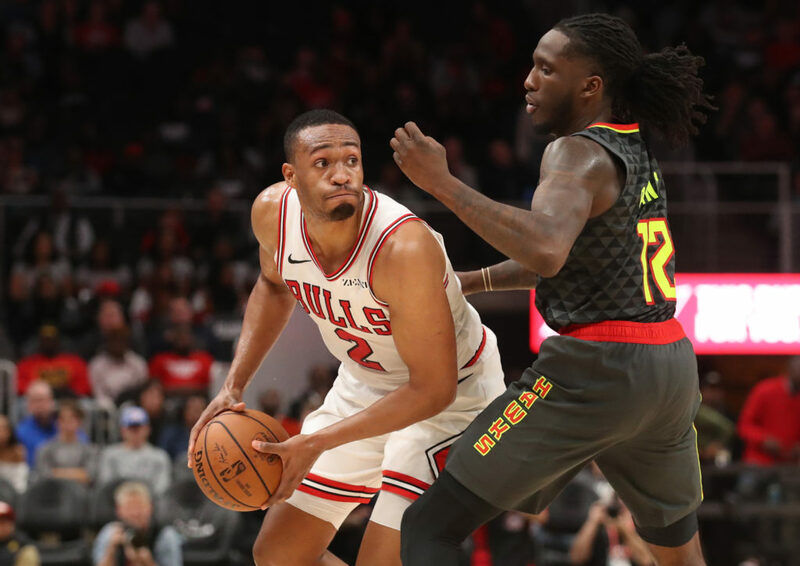 Expect the 23-year-old Parker, a Chicagoan who attended Neal F. Simeon Career Academy on the South Side, to run with the Bulls and mature into an All-Star. 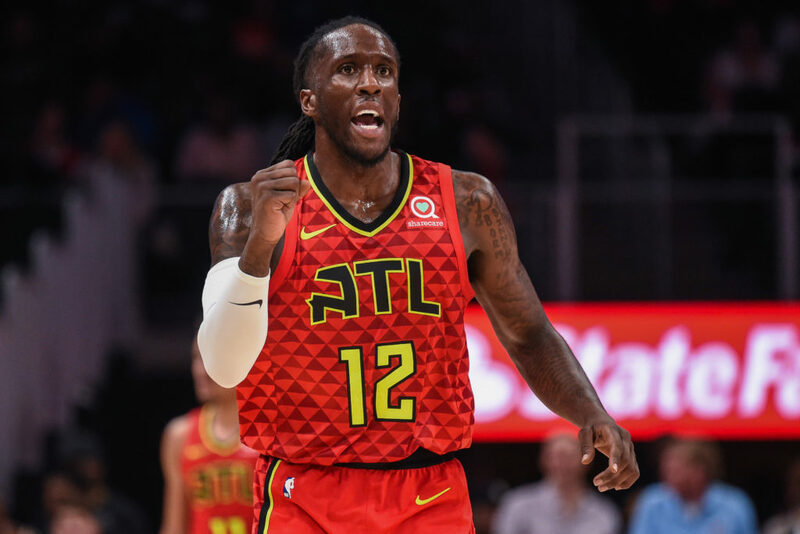 Taurean Prince is ready to mature into royalty on the court. Following some draft-day maneuvering, the Atlanta Hawks acquired the 6-foot-8, 220-pound Prince out of Baylor with the 12th choice in 2016. Prince initially failed to soar as a Hawk and he was assigned to play for the Long Island Nets. The towering Texan eventually returned to Hotlanta and became a reliable scorer. The 24-year-old Prince will cement his status as a top-10 small forward this winter. Andrew Wiggins is an electric talent on the hardwood. The 6-foot-8, 195-pound Wiggins dominated at Kansas and, accordingly, was the top pick in the 2014 draft. “Junior Jordan” excelled under pressure and promptly seized the association’s Rookie of the Year award in 2015. 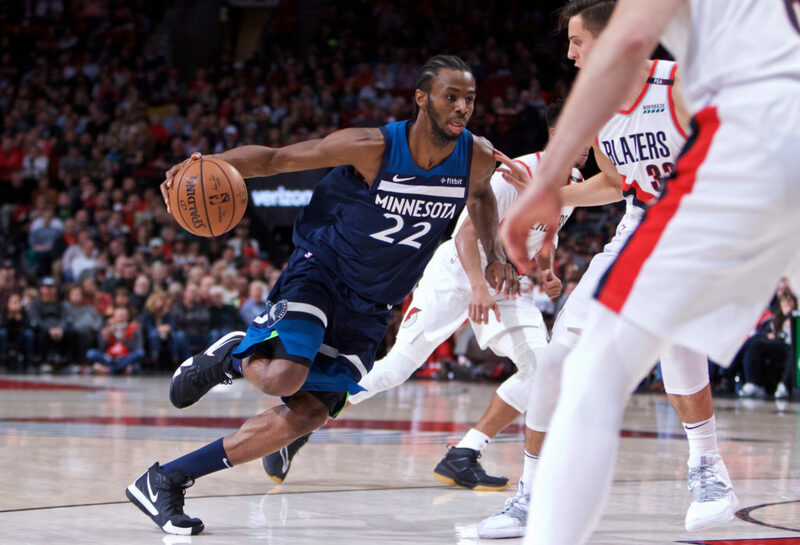 Wiggins, a critical contributor on the offensive and defensive side of the court, particularly blossoms in transition. The 23-year-old Wiggins should become an All-Star this winter. Gordon Hayward was anything but lucky in his debut as a Boston Celtic. The 6-foot-8, 225-pound Hayward, drafted by the Utah Jazz out of Butler with the ninth pick in 2010, suffered a grotesque-looking leg injury on October 17, 2017. Although not fully recovered from undergoing two surgeries, the 2017 All-Star is reportedly healing and regaining his lateral movements. When healthy, the decorated Bulldog is a phenomenal shooter and capable rebounder who can space the court. 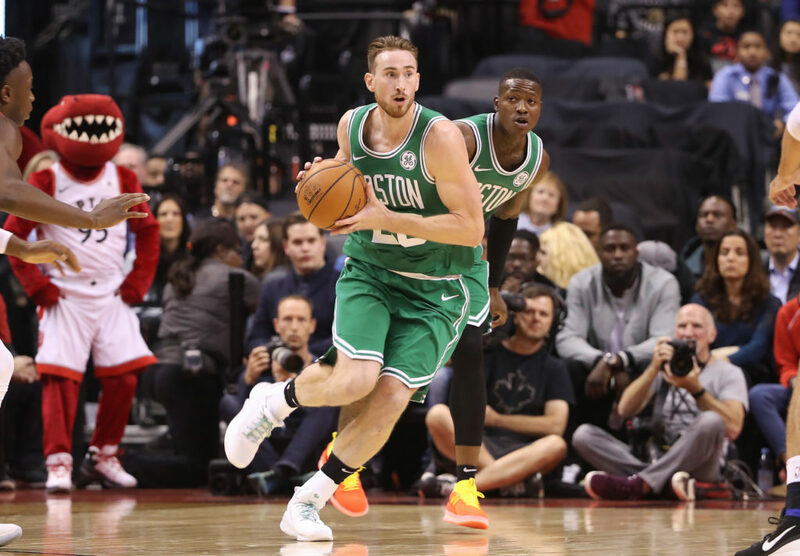 Playing alongside a skilled supporting cast, expect Hayward to ultimately thrive this season in Beantown. Paul George is a criminally overrated ballplayer. Regardless, considering the association’s lack of talented small forwards, the 6-foot-9, 220-pound George deserves this relatively-lofty ranking. 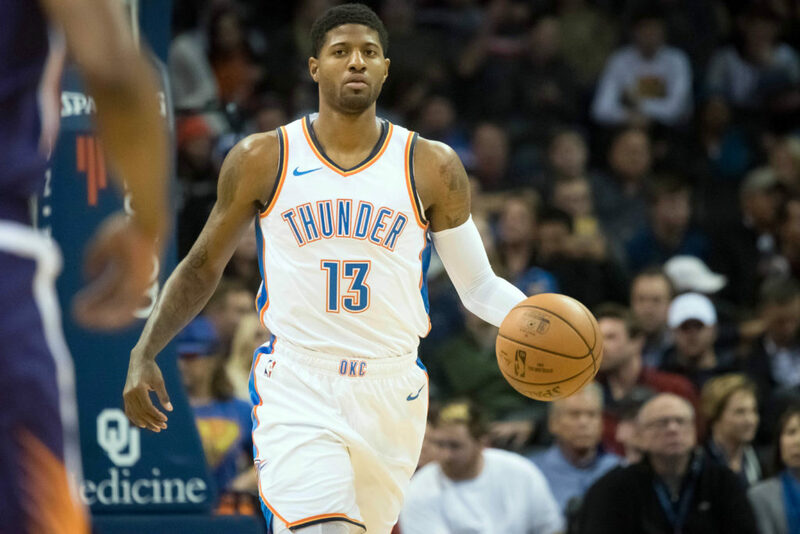 PG-13 is a five-time All-Star and four-time All-NBA Third Team selection. George is also a solid defender who, alongside Russell Westbrook, could direct the Thunder on a deep playoff run in the Western Conference. Still, after inking a four-year contract worth $137 million on July 6, George has a lot to prove on the hardwood. 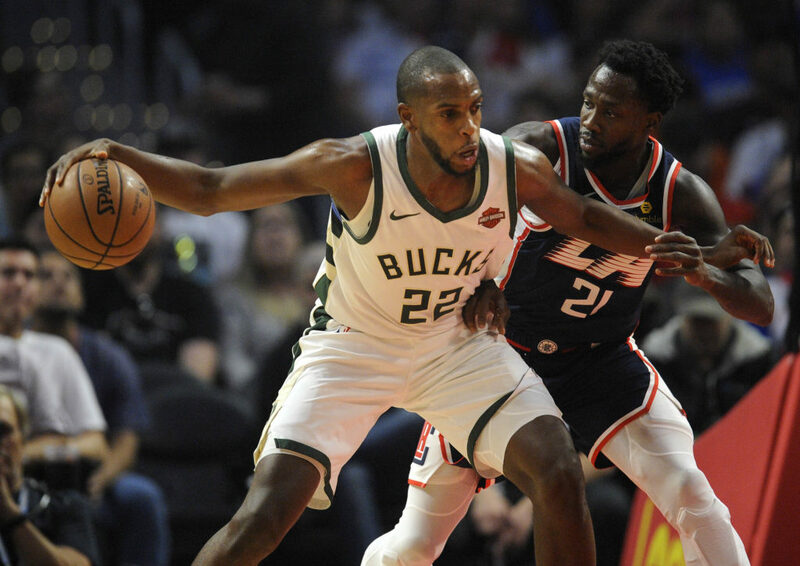 Although anything but a household name, Khris Middleton is arguably one of the association’s elite performers. The Detroit Pistons selected the 6-foot-8, 235-pound Middleton out of Texas A&M with the 39th choice in 2012. Middleton’s tenure in Motown was brief and he was traded to the Bucks on July 31, 2013. 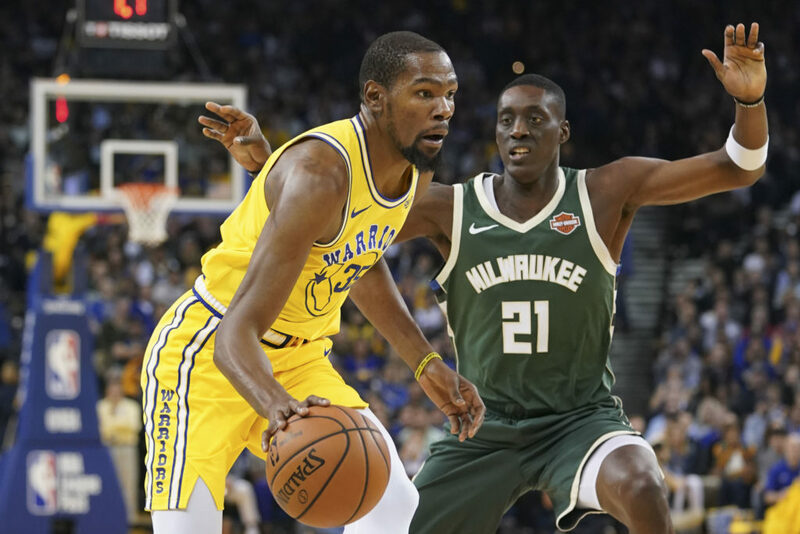 The 27-year-old Middleton has been golden in the Brew City and, with defenses focused on stopping Giannis Antetokounmpo, it’s difficult to envision that he won’t continue to prosper well into the 2020s. Butler finally got his wish. After weeks of toxicity and pettiness, the Minnesota Timberwolves sent their star small forward to the Philadelphia 76ers in a package also involving Dario Saric and Robert Covigton. 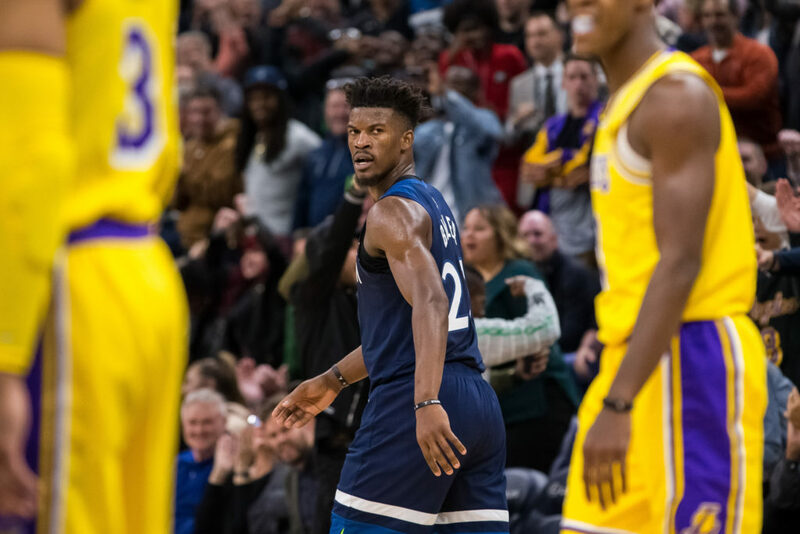 It remains to be seen if Butler can get along with his new teammates, though acquiring a former four-time All-Star and two-time All-NBA Third Team selection rarely hurts. Butler plays with passion and energy on both ends of the floor, and has blossomed into a legitimate two-way talent. Kawhi Leonard is a prima donna. Conversely, the 6-foot-7, 230-pound Leonard is also a once in a generation defensive stopper. 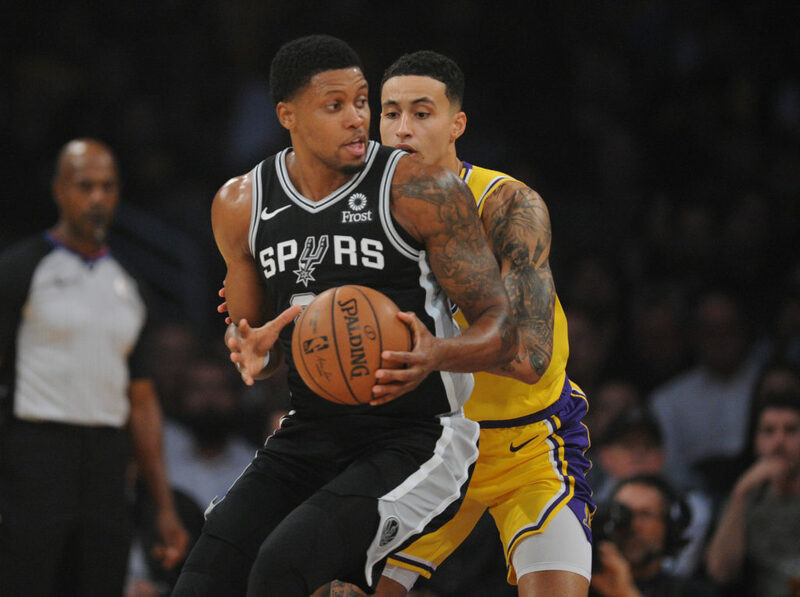 “The Hand,” who forced the San Antonio Spurs to trade him to the Toronto Raptors on July 18, has twice procured the association’s Defensive Player of the Year award. Moreover, Leonard has developed into a top-flight option on the offensive side of the court. 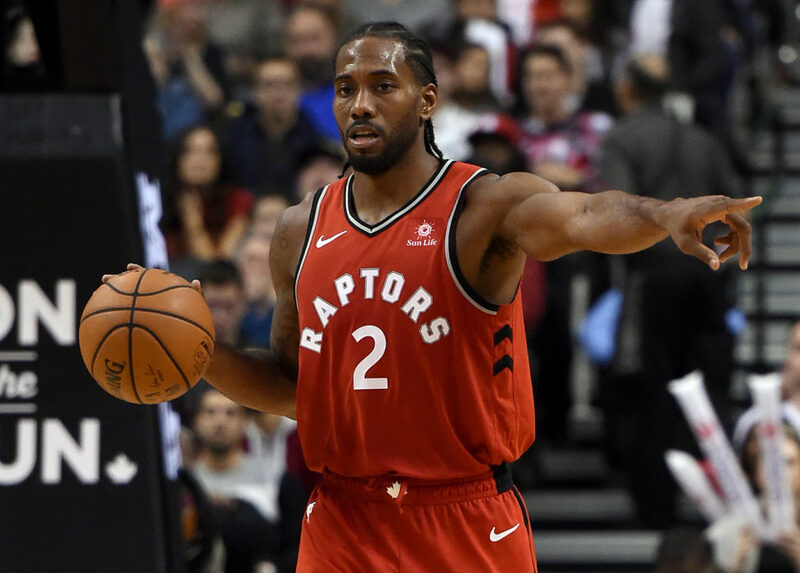 Provided his ego doesn’t continue to balloon, the 27-year-old Leonard can run the Raptors to the finals this June. Kevin Durant was golden on the hardwood before he became a Warrior. The 6-foot-9, 240-pound Durant is a nine-time All-Star and six-time All-NBA First Team selection. The “Slim Reaper” also helped a Warriors juggernaut win back-to-back championships in 2017 and 2018. The 30-year-old Durant should remain one of the association’s elite players well into the 2020s. LeBron James is the preeminent basketball player on Earth. The 6-foot-8, 250-pound James is a 14-time All-Star and 12-time All-NBA First Team selection. More significant than individual accolades, the “Chosen One” led the Miami Heat to two crowns and powered the Cleveland Cavaliers to a title in 2016. With the 33-year-old James now performing in La La Land, don’t be shocked if the Lakers soon capture their 17th Larry O’Brien Championship trophy.